OLD PARKED CARS. : 1970 Buick Estate Wagon. I'd kill to drive that. 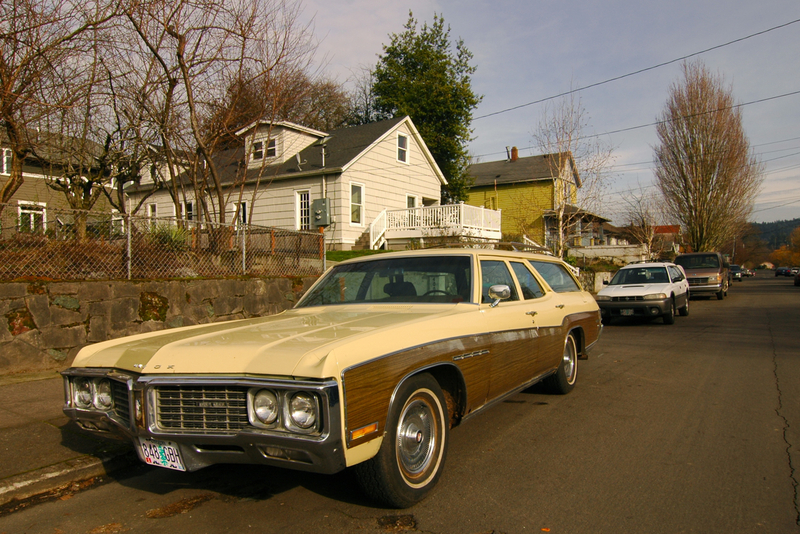 I absolutely love early 70's Buick wagons. what a wagon. 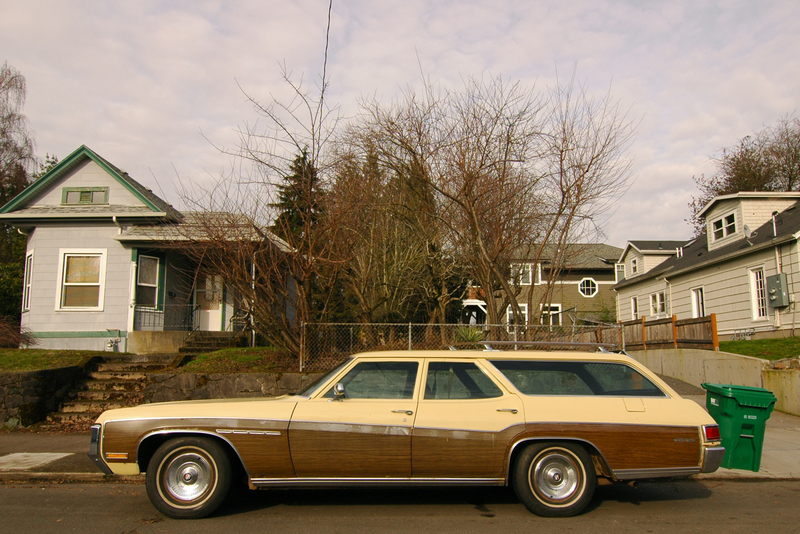 how could you miss the "woodgrain" tag here? glad to see the fisheye lens put to proper effect. that grill shot affected me, too. I know this wagon well. It came from the estate of a 90ish woman. 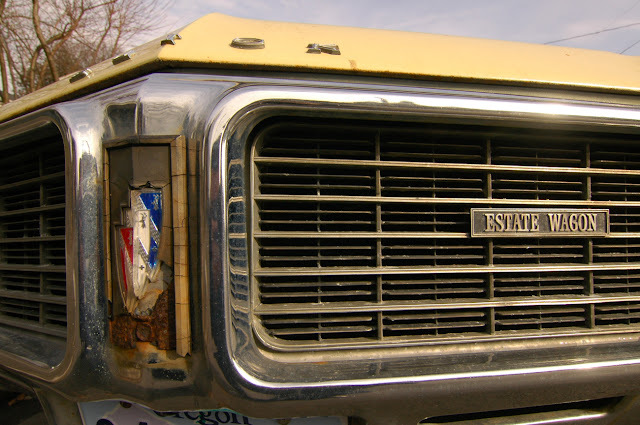 I bought it in 2012 and sold it later that year to a couple who were looking for something cool to drive across the country when they moved back to Michigan. Factory 455 with 370hp. Man that thing was trip to drive. Awesome! Glad to hear you guys are still enjoying it. I managed to find another one - a two-tone light/dark green one that I'm going to hang onto. 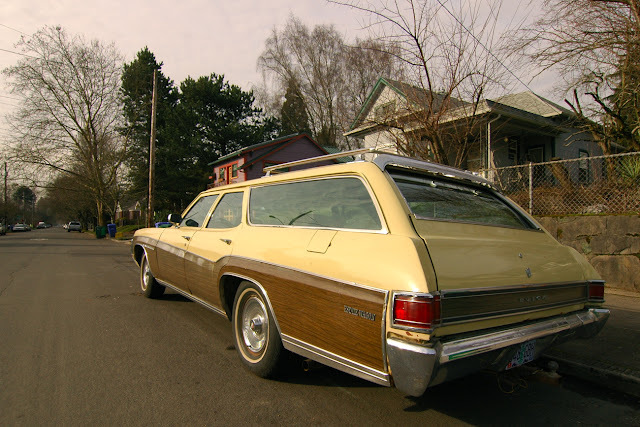 Check out the movie "The Way Way Back" which features a 70 Estate Wagon. You can find the trailer on Youtube, and the wagon shows up briefly in it. I saw one of these new on the lot; White, wood grain with matching brown vinyl top and cloth interior, rally wheels, and loaded with factory options. What a beauty.